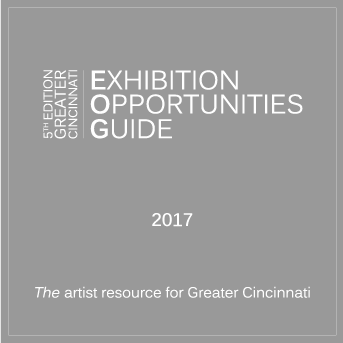 Created and produced by the Weston Art Gallery, the latest edition of the acclaimed Greater Cincinnati Exhibition Opportunities Guide is now available online and as a downloadable PDF. Featuring nearly 200 places to show your work or see art in and around Cincinnati—from cafés to museums—the E.O.G. is a compendium for artists, collectors, and art lovers with dozens of new entries since the previous edition.